Choose our team to support you with the legal expertise and emotional encouragement you need throughout the adoption process. At our firm, we provide you with legal representation and one-on-one support from start to finish. For more than 40 years, our firm has focused on family law, as well as adoption law. We strive to keep your case moving, so you spend less time and money preparing your home and your heart for your adopted child. Adoptions can be sensitive and difficult cases that require an experienced attorney who is knowledgeable about every aspect of adoption law. We represent clients going through every type of adoption, including private, national, and international. 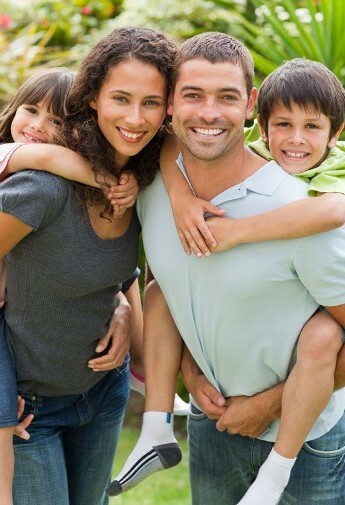 Schedule your free consultation today with our dedicated and highly skilled adoption lawyer. You and your spouse are very excited bring home your newest family member - and adopted boy or girl. Unfortunately, adoptions and adoption law matters are rather complicated. Understanding the legal jargon, completing the sometimes-confusing paperwork, and more leaves many soon-to-be parents overwhelmed and exhausted. There are many cases in which parents give up their parental rights freely. These cases are referred to as "uncontested termination of parental rights." Many adoptive parents work with an adoption agency. This isn't the case during a private or independent option. Allow our adoption attorney to step in and guide you through the process. As with all adoption proceedings, identified adoptions are complicated. During the process, the birth mother and adoptive parents find each other, and request that we take over the adoption process. This spares the adoptive parents from being put on a very long waiting list. To put it simply, interstate adoptions are governed by the Interstate Compact on the Placement of Children (ICPC). Like the name suggests, these are the adoptions when the mother and child reside in a different state than the adoptive parents. You've recently married, and your new spouse wants to adopt the child you had with a previous partner. While stepparent adoptions are less cumbersome, they have their complications. Our adoption lawyer will make matters easy. Grandparents often adopt their grandchildren when the children's birth parents become deceased or incapacitated. Other reasons for grandparent adoptions include divorce and child neglect. Bring your child home for good with the assistance of our private adoption lawyer. Many couples prefer private adoption because they wish to eliminate a waiting period and prevent a child from entering temporary foster care at all costs. In addition, private adoption often allows the option for the adoptive and biological parents to meet. These situations may seem complicated to you and are certainly charged with emotion. We provide you with the legal support you need so you can focus on the child you are adopting. Whether you want to provide a child with a loving home or want to adopt your grandchild because of extenuating circumstances, you need an adoption lawyer to walk you through the legal processes. That's where our firm comes in. Staffed by industry-leading attorneys, we believe that adoptive parents, relatives, or grandparents shouldn't have to jump through hoops to provide children with nurturing homes. That's why we go the extra mile to simplify the process from beginning to end. Legal matters involving your family are emotionally draining and exhausting. Our experienced legal professionals are available to provide you with the one-on-one service and guidance you need to make these matters less stressful for all involved. Whether you're in the midst of a divorce, need representation for a paternity case, or want full custody of your child, you deserve the highest quality representation possible. We understand that each case is different. That's why our family lawyer personalizes services to every client's unique needs, whatever they may be. When it comes to dealing with the laws of other countries, it's best to rely on the professionals. You want your adoption to go smoothly and as quickly as possible. It is vital to the condition of your family and a long-drawn out process only drains you mentally and emotionally. Our caring international adoption lawyer is knowledgeable about the adoption laws in a number of other countries. In many cases, the legal process in the foreign country is much different from that in the United States. During your free initial consultation, we provide you with general information about international adoptions and advise you of your options based on your current situation. Our goal is to bring parents and children together as quickly and affordably as possible. Give the gift of adoption with the help of our adoption lawyer. Contact us today for a free consultation with an attorney. We are convenient to clients from Waxahachie, Ferris, Italy, Midlothian, and Red Oak, TX.